Follow her foolproof plan for the easiest party ever. 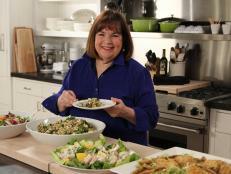 Plus, get the most-requested recipe from her catering days. On a recent episode of Barefoot Contessa: Cook Like a Pro, Ina revealed her carefully contructed game plan for pulling together an easy party. Just stock your bar with your favorite libations and follow these five tips for a perfect evening. 1. Start with five to six different appetizers. “If you want a really easy appetizer with a wow-factor, this is it: Shrimp Cocktail Louis,” she delcares. She also suggests her Zucchini and Gruyere Frittata Squares and Lamb Sausage with Puff Pastry, “When I was a caterer, Lamb Sausage with Puff Pastry was one of the most frequently requested appetizers ... When you serve these at a cocktail party, people are going to go crazy,” says Ina. 2. Always offer a mix of meat, fish and vegetables. That way you “cover whatever the guests eat, and it feels a little like a meal,” says Ina. 3. Plan on ten pieces of the appetizer per guest. 4. Serve everything at room temperature. 5. Don’t cook everything yourself. 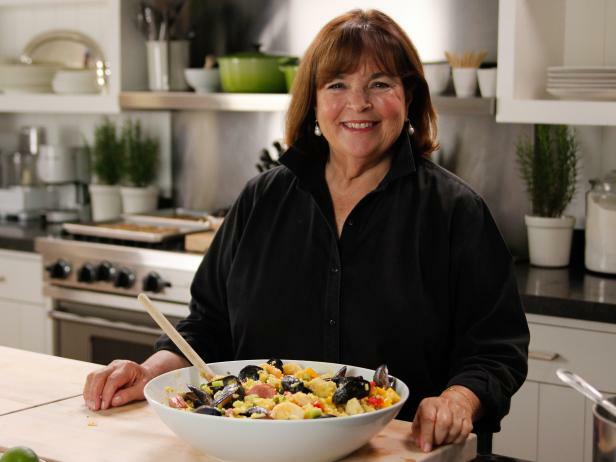 For more of Ina's entertaing tips and tricks, watch Barefoot Contessa: Cook Like a Pro Sundays at 12:30|11:30c. Find out how she uses it to make her favorite cookies of all time.